If you notice any of these signs in your Wahoo, NE home, contact a professional for an inspection immediately. Underpinning is used to lift and support sinking foundations. It involves driving steel piers or helical piers into the soil beneath your home to take pressure off of the foundation. This allows the structure to rest on the piers and be lifted to the proper level. For homes with a shifting foundation, helical tiebacks and wall plate anchors are installed through basement walls to pull the foundation walls outward. 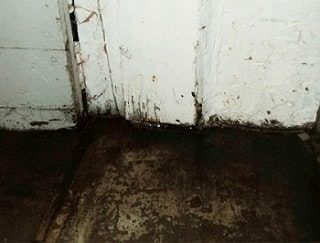 Jerry's Waterproofing offers basement waterproofing solutions for the interior and exterior of your home in Wahoo, NE. They include interior/exterior drainage systems, sump pump, and pit installation. We want to make sure you are satisfied with the work that we do. That is why all of the products we use are manufactured by Earth Contact Products (ECP), the top name in the business. Radon Mitigation: We lower radon levels with radon mitigation. Crawl Space Repair: To eliminate crawl space moisture and water intrusion, we install vapor barriers and crawl space encapsulation. Egress Window Installation: We install high-quality window well systems, such as Bilco's ScapeWEL and Bilco's StakWEL, to add light and ventilation in your basement.